I wanted to write a beauty post and figure my first blogged one would be about removing makeup. I have always switched from towelettes to water-based formula removers. I have found that I do not like the towelettes only because I find that I break out more and if they stay stored for a while, they can get dried up and then it's just useless to have. 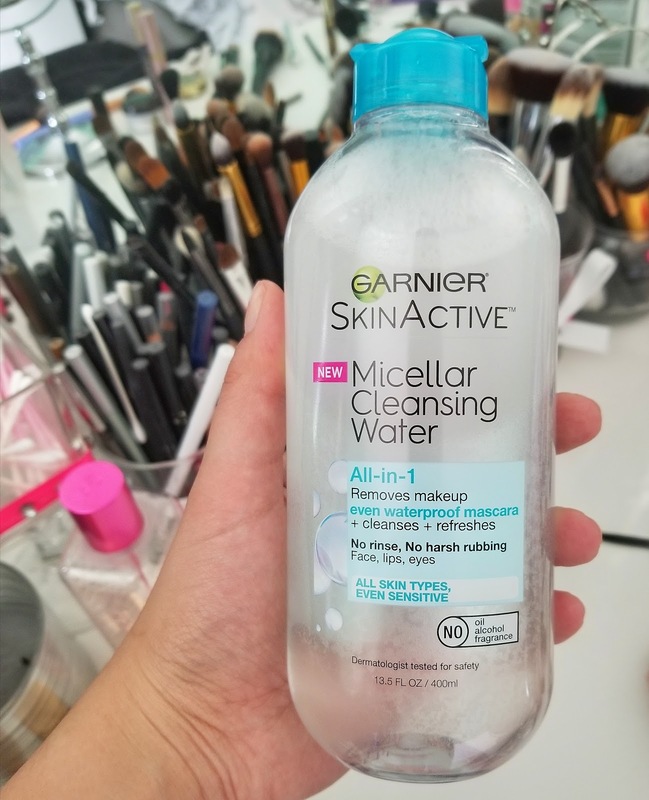 I recently switched to Garnier Micellar Water and have fallen in love with it! I bought it a couple months ago and at the time they had the regular pink one and a waterproof blue one. I decided to get the waterproof one, even though I don't wear waterproof makeup, only because I wanted to remove any and all makeup as much as possible. Well, I absolutely fell in love with it. I take a cotton pad and soak the makeup remover in it and then use it all over my face. I usually take one side for my eyes and the other for the rest of my face. I would say that it does a pretty great job at removing my makeup. I am left refreshed and my face feels like I just splashed some water on it. It dries within minutes and it doesn't make my face feel tight or dry. I find that it usually cleans up most of my makeup. I will say that sometimes, I do have makeup left over but that may be just me not cleaning it thoroughly. As days and weeks have gone by, I ended up using all of it and it was time for another bottle. Now, Garnier had come out with a green colored version, known as the Matte Micellar Water. I absolutely hated it. Now, I am someone that loves looking matte. I'm not into the dewy looks that other people obsess over, I would rather look matte with my foundation, bronzer, lips, the whole thing. However, when trying this makeup remover, it dried me out so bad and it did not even remove my makeup. Every time I used it, my skin would feel very tight as if I just used some kind of exfoliater for too long. I would also use it to remove my mascara and go to bed, but when I wake up in the morning, my eyes would be raccoon-like from the mascara because it didn't come off from the makeup remover. I also noticed that I would start breaking out randomly when I didn't before. I have given it plenty of chances. I've used it for about 3 weeks and I've finally decided to pour it down the drain because I could not stand how it felt. 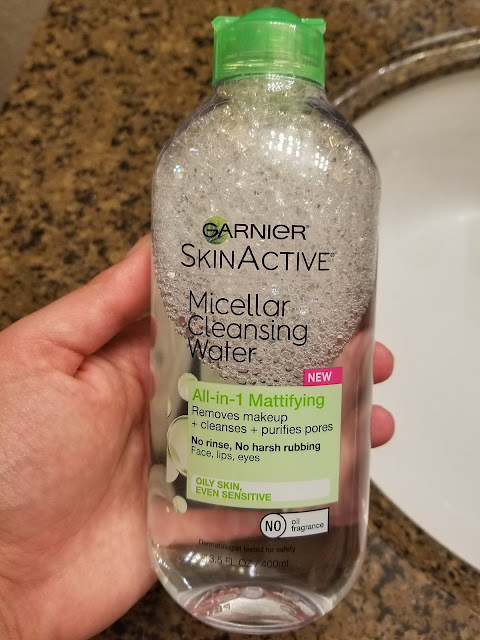 I would not recommend this to anyone, unless your skin is extremely oily because then the mattifying and drying of it would work wonderfully with your skin. My skin is oily/dry combo, so using this was very drying. Just wanted a post on my favorite makeup remover. Have you tried any other ones by Gariner? What do you think of these? What is your favorite?! I'm willing to try new things!